Robert Kyncl, the Chief Business Officer at YouTube, gave a keynote speech at CES 2016 yesterday. Video marketers will want to make the time to watch all 57 minutes and 36 seconds of “Robert Kyncl, YouTube - Keynote 2016,” which was uploaded to the CES channel today. 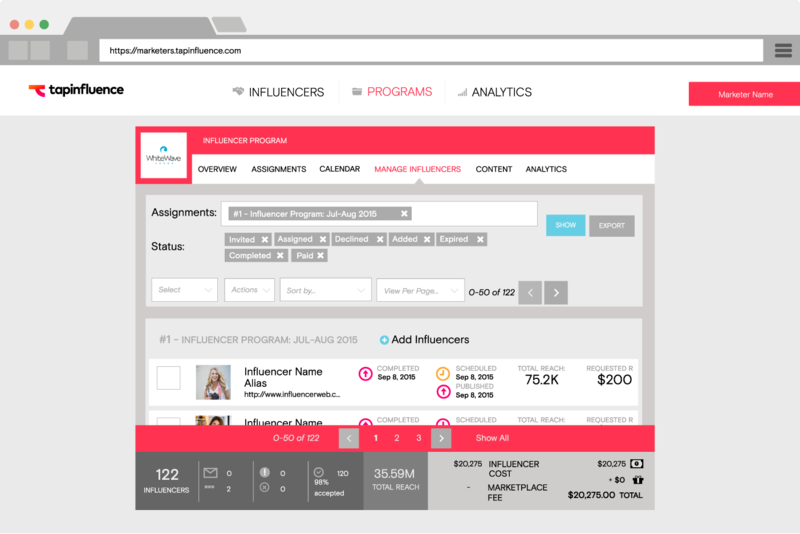 Every day, TapFusion enables brands and agencies to reach billions of consumers with scalable, influencer-driven content. 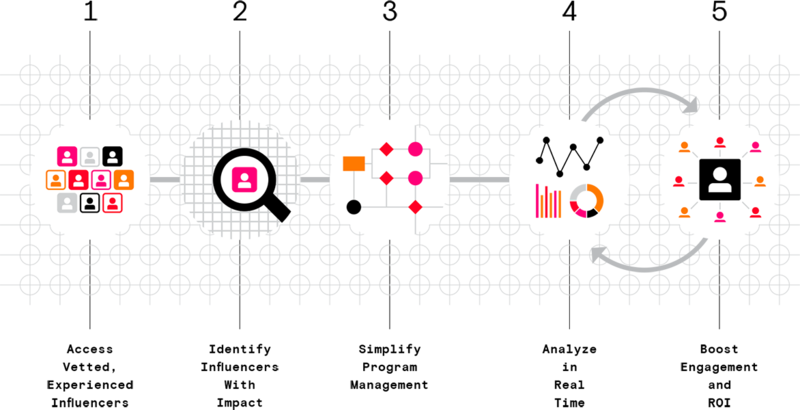 The AddThis Audience Intelligence (Ai) platform combines big data, machine learning and deep ecosystem connections into tools that help you stay ahead. See inside custom audiences to reveal content engagement habits, geographic distinctions and brand adjacencies. Find your most relevant audiences – quickly, and at scale. Deepen audience relationships with relevant calls to action on your own site. Rubicon Project offers real-time trading technology that automates the selling and buying of online advertisements. Rubicon Project’s automated advertising platform has surpassed Google in U.S. audience reach and is used by more than 500 of the world’s premium publishers to transact with over 100,000 ad brands globally. The company’s customers include eBay, TIME, ABC News, the Wall Street Journal, Tribune Company, Virgin Media, People, Universal and many other Fortune 500 companies. Use of any third party to serve content (including creative assets, pixels, and cookies) inside of an advertisement is restricted to certified technologies. Requests for third-parties that are not already certified must be submitted for certification to Amazon at least 30 days in advance of the applicable campaign. See the “Amazon Pixeling Policy” section below for cookie and pixel restrictions. Failure to comply with any of these restrictions will result in the ad/campaign being rejected. From our living rooms to the palm of our hands, screens big and small are giving us the flexibility to access content whenever and wherever we want. While this 24/7 access appeals to consumers, it has complicated campaign planning for advertisers. People can now see the same brand ad on different screens and at multiple times on any given day, whether they are on their mobile phone or watching their favorite TV show. The Exchange Lab works with brands and agencies to plan and execute the most effective, strategic digital advertising campaigns. We provide a brand safe environment that adheres to all of the industry codes of conduct, offering campaign transparency and viewability metrics. But that’s not all. Every campaign is unique so we tailor our solutions to your marketing objectives. Build Brand Awareness: Focusing on audience first, we connect brands with their consumers in the right place, at the right time, across devices. New York – February 26, 2015 – Major brands are now using location data for purposes beyond targeting consumers at a particular moment in time. Marketers are leveraging location data to build much more comprehensive audience segments, which can be used to target consumers in a wide array of mobile campaign scenarios. See how mobile helped make the Black Friday–Cyber Monday weekend a success. Learn how Atlas’ people-based measurement provides a clearer understanding of online shopping over the holidays. You are what you buy—Shopping data is a window into consumers’ lives. Their browsing patterns and purchases reveal their tastes, lifestyle, and aspirations. We track over 1 billion retail shopping points each month. This data is the foundation of our audience activation platform which enables brands to quickly connect with receptive audiences. Our unique combination of experience, data, and technology drives results. A data race is taking place in the media and advertising industry. New technology and the ability to gather and analyse large volumes of data are changing the ways in which advertisers reach consumers. Consumers were once split into demographic groups, which were targeted via mass media. Today we are bought and sold one by one on global ad exchanges. We apply our proprietary person-based identity-management technology to your customer data, combined with Merkle’s industry-leading third-party data. By assigning a unique identifier to each individual, you’re able to support integrated marketing decisions throughout the customer journey — across platforms and devices, even offline to online. The patterns that emerge inform a connected experience supported by the effective delivery of relevant content in the right context. Engaging consumers in the era of programmatic creative relies on data and automated technology. In this piece, Jamie Evans-Parker, CEO and founder of wayve, (pictured below) suggests how marketers can create the perfect mixture. Nearly a decade has passed since programmatic emerged onto the digital advertising scene, revolutionising targeting capability and efficiency by automating ad trading. Although initial uptake was slow, marketers are now readily embracing the technology – its portion of ad spend will exceed £2bn next year in the UK alone. VTech Kids would like to invite you to become a part of our Affiliate Program. Our site is growing at an exciting pace. and we hope you'll be a part of it! Sign up today to become a Vtechkids.com affiliate and begin earning commission on every qualified sale! NEW YORK – June 16, 2015 – The Coalition for Innovative Media Measurement (CIMM) announced today that RealityMine, a leading provider of mobile market research technologies and consumer analytics, has been chosen to undertake the Children and Teens’ Measurement project. The project’s aim is to make possible a thorough and comprehensive view of cross-platform, digital and mobile measurement of content and ads among children and teens aged two to 17. REDWOOD CITY, Calif., July 23, 2015 – Rocket Fuel (NASDAQ: FUEL), a leading programmatic marketing platform provider that uses artificial intelligence (AI) at Big Data scale to optimize marketing ROI for global agencies and enterprise marketers, today announced it has strategically expanded its politics and advocacy group to support the growing demand for its programmatic solutions in the political space. Xaxis, the world’s largest programmatic media and technology platform, announced today the launch of Xaxis Politics, the industry’s first targeted political advertising solution for reaching U.S.
Act on data from any channel in any channel. The typical brand uses 30+ different solutions to engage their customers. The IBM Universal Behavior Exchange is an open exchange that makes it easy to share customer data between certified solutions, bypassing the custom IT work typically required to launch a personalized campaign and speeding time to market from weeks to just one day. Best of all, this new feature is available in the IBM Marketing Cloud and other IBM Commerce products at no additional charge.